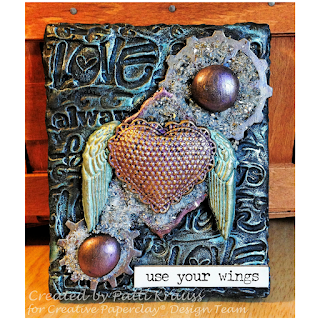 Hi Friends: It's time for a new mixed media canvas featuring Creative Paperclay®! 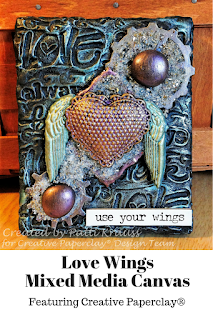 I found this great wings mold at Michaels, paired it with a heart mold that I picked up on sale at JoAnns, along with my favorite Creative Paperclay® and a few metal pieces, and I created this Love Wings mini canvas. 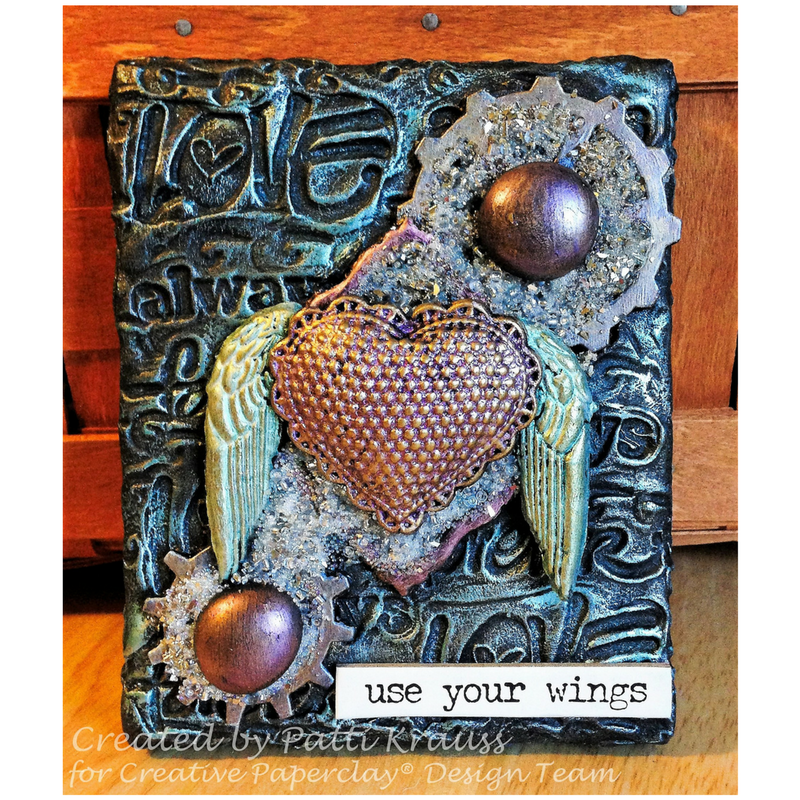 I really love using Creative Paperclay® with molds to create focal pieces on my mixed media canvases. 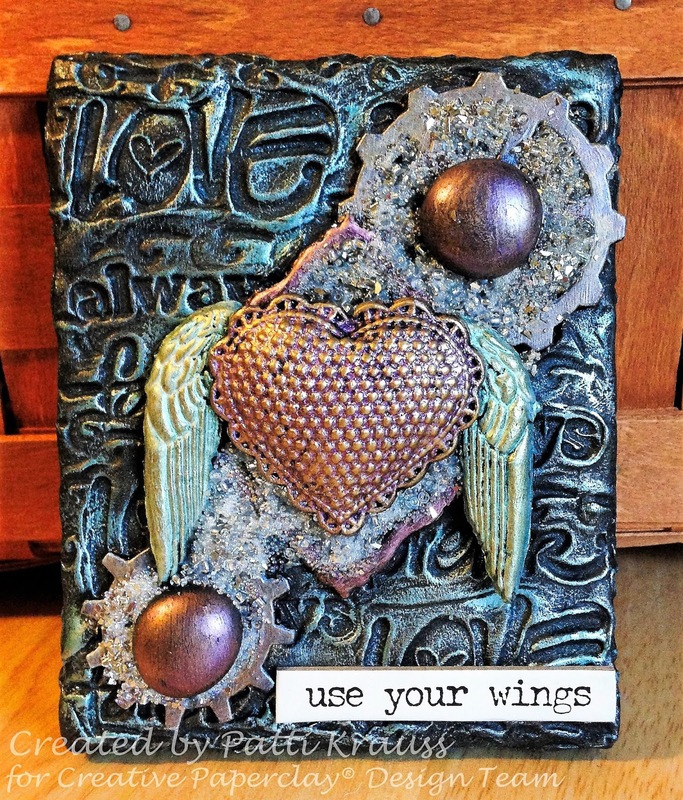 It's also great for adding texture and stamped images onto the background. This project uses black gesso and lots of yummy mixed media products! 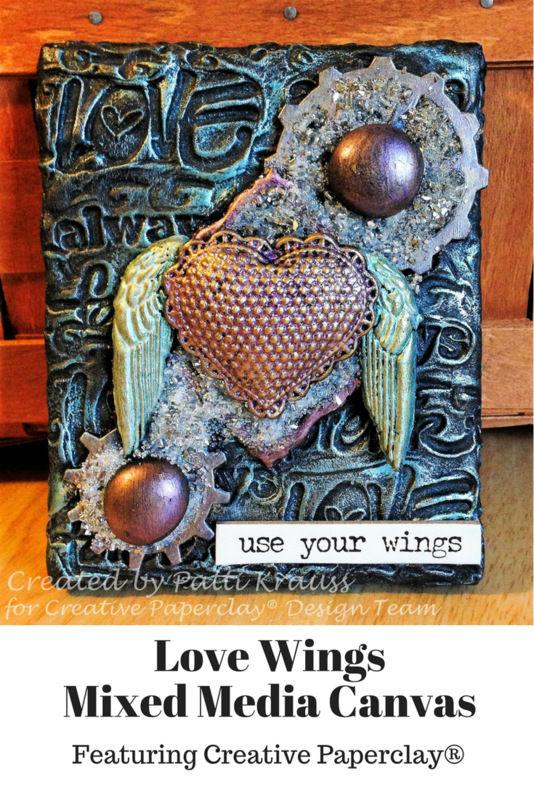 I hope you enjoyed my project and learned some new ways to use Creative Paperclay® in your mixed media projects. 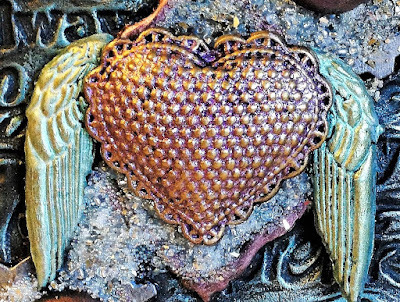 Thank you so much for stopping by the blog today. 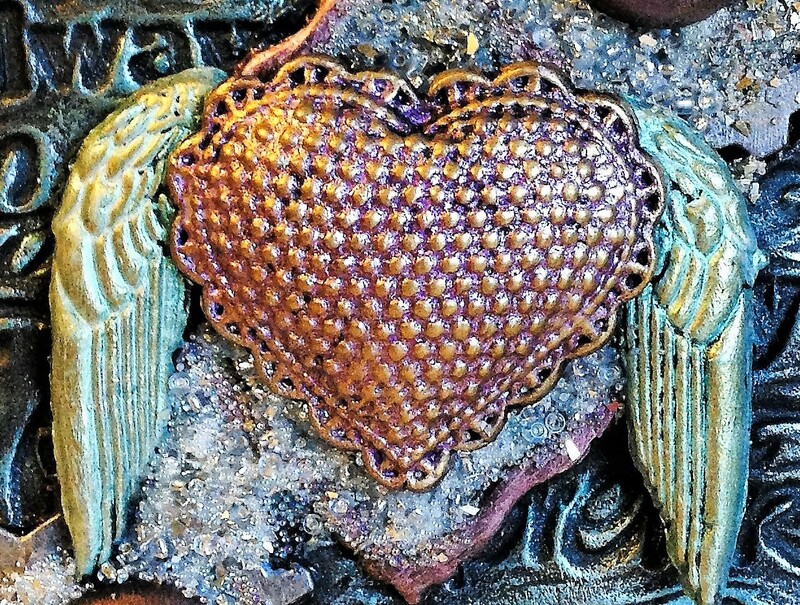 Have a great, creative day!